Easy Trail in "Bosco del Vaj"
This is a very easy trek of about 2 hours walk and 200m of height. 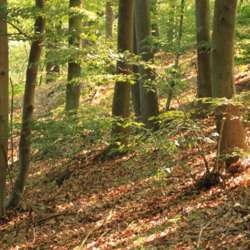 The Bosco del Vaj Nature Reserve is a protected natural area, more precisely a regional nature reserve, established in Protected content located in the area known as Collina Torinese near the village of Castagneto Po in the Province of Turin, it is managed by the Natural Park of Collina Torinese. At the highest point of the reserve, the summit of the Bric del Vaj Protected content s.l.m. ), there is a large summit cross and is the point of arrival of different paths. Lunch costs 10 euros and includes appetizer, first course, main course, dessert, water, wine and coffee.